BitTorrent on Monday announced the beta release of Surf, which lets you discover and download torrents directly in the browser. Among the new features is a new recommendation engine and Firefox support. You can download it now from the Chrome Web Store and the Firefox Add-Ons page. The new recommendation engine prioritizes featured content from BitTorrent and its partners. The addition isn’t something users will likely be particularly excited about, but it is a way for the company to monetize its new push into the browser world, and also help helps artists. So, say you’re an EDM fan and you’re searching for content by DJ Shadow. 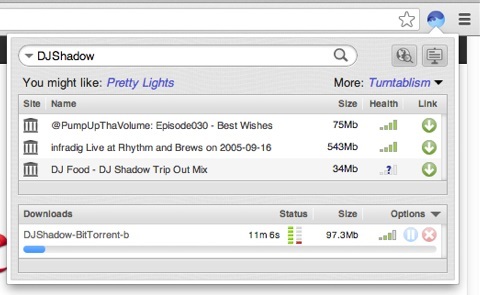 Surf will serve up relevant content suggestions, like a BitTorrent Bundle from Pretty Lights. Recommendation and prioritization can help drive visibility for BitTorrent partner artists – solving for the exposure barrier that every creator is confronted with. That’s pretty powerful stuff. Just over three months ago, BitTorrent released the Surf extension for Chrome, saying it was hoping a torrent search window directly in the browser would “advance and simplify content discovery and download” for a broader consumer base. The extension arrived on the scene as an “early Alpha” with the goal of gathering feedback from consumers. At the time, BitTorrent promised an add-on for Firefox, as well as for other browsers, and now it has delivered on the former. The company wouldn’t reveal what other browsers would be supported, or when, but we wouldn’t be surprised if Microsoft’s Internet Explorer was next on the list. 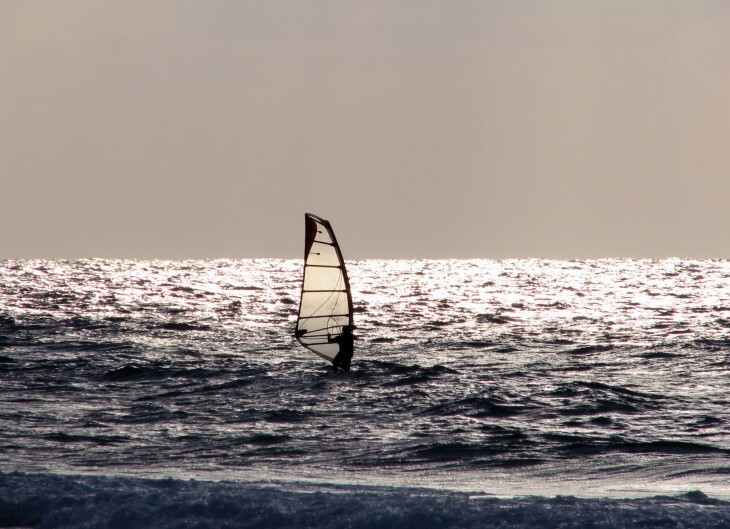 Surf has now been development for about nine months. BitTorrent didn’t share figures regarding how the project is going so far, but a public beta release so soon should mean we can expect a final stable version by this summer.